Here are the unforgettable best moments of Ultra Miami day 3. 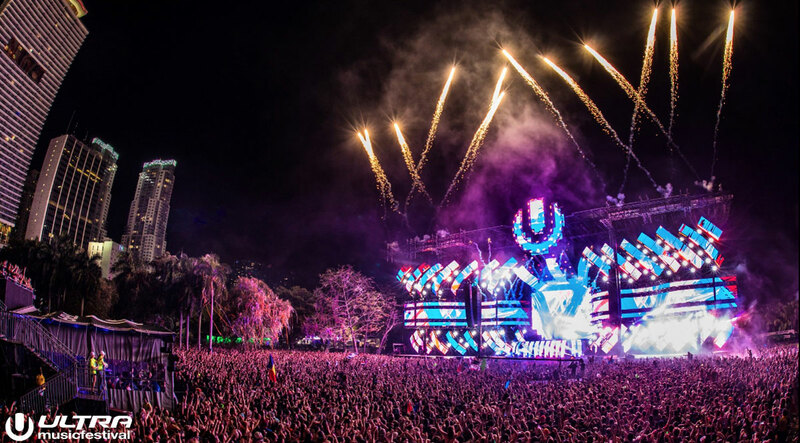 With incredible music coming from every act at Ultra Music Festival this year, this is a recap of day 3 and the highlights everyone will be talking about. After an epic previous day full of performances by a grove of EDM talents and virtuosos, it is time for the Ultra Music Festival 2017 day 3 best moments. With a much dry weather, Ultra fans with funny costumes, colorful glasses, fiery shirts, Martian disguises, and princesses of a faraway planets strolled around the Bayfront Park along the stages for some serious “this-is-how-we-do-it” party time. Kicking off the highlights of Ultra Music Festival 2017 day 3 best moments is The Resistance, powered by Arcadia Spider, the 50 ton, 20 meter tall structure known serving as the Resistance stage. The vibe at the Arcadia Spider – made of fully recycled material – was truly awesome with some the best techno DJ’s in the world gracing the decks. British DJ Patrick Topping was hands down, one of the best acts at The Resistance this Sunday. Dutch house DJ and producer Fedde Le Grand is one of those DJ’s who really nails it when he remixes, like the ones he has famously done of Coldplay, Michael Jackson, Rihanna, and Naughty Boy. During his act at Ultra Music Festival 2017 Day 3, Le Grand got the crowd very hyped to the beat of every house, electro house, tech house, and progressive house sound of his set. By sunset in Miami during the festival this year, the Ultra main stage has probably paraded the world’s best DJs. Undoubtedly the energy for this Sunday’s premier performance was intense and fierce. Hardwell, one of the most listened DJs in electronic music, got on the stage in a blaze of powerful beats, exactly the kind of magic that keeps his fans so excited for his acts during Ultra Miami year after year. Hardwell had been in the Ultra talk of the day since he infamously crashed Steve Aoki’s Miami Music Week interview and because Martin Garrix seemed to have played “Music Box”, a track that Garrix made with Hardwell that probably had never seen the light of day until his killer set on Saturday. EDM veteran Hardwell by all accounts topped Ultra Music Festival 2017 day 3 best moments and definitely, this year’s best act. And navigating the technology era we live in, Hardwell took his performance to an epic landmark in Ultra Festivals, streaming the event in 360 degree during the live broadcast of his Ultra 2017 set. David Guetta is one of those DJs who has had the most collaborations ever and yesterday (Saturday) at LIV Miami, he had a blast. And who doesn’t have a blast at LIV Miami? But day 3 of Ultra Miami Music set the stage for his turn to do what he knows best to a live audience who had seen a lot before but not enough yet! Guetta surprised Ultra Miami with a song he had made specially for the weekend. Greatness in the flesh! Ranking #22 in the list of best DJs in the world according to DJ Mag, DJ Snake was to close #Ultra2017. We hear Andrea Helfrich said DJ Snake was nervous minutes before getting on the stage. Who wouldn’t, right? This is the biggest stage for EDM in the world. DJ Snake did not fall short of the expectations (he even brought Atlanta rap hero Future to the stage) and his act was one for the books as well, though at the very end, it all went a bit slow – maybe trying to fight back the emotions and the notion that Ultra Miami was done for this year. Ultra Music Festival 2017 day 3 was one of the best nights for the electronic dance music fans. Stay tune for our upcoming recap of #Ultra2017 best moments. Ultra Miami Highlights: Get the Latest Reviews, Photos & Videos of Ultra Music Festival 2017 Day 3 Best Moments. This is a Recap of the Best of Ultra Day 3.